CAPE TOWN, South Africa, (8 December 2013) – The Joint United Nations Programme on HIV/AIDS (UNAIDS) and the African Society for Laboratory Medicine (ASLM) on 8 December 2013 formalised their partnership through the signing of a Memorandum of Understanding (MoU) to collaboratively improve access to HIV testing and strengthen health systems throughout Africa. Over seven million people living with HIV in Africa are receiving antiretroviral therapy (ART). Although this is a significant achievement, it is less than 50% of all the people living with HIV who are eligible for treatment on the continent – according to the new 2013 Consolidated ART Guidelines from the World Health Organization (WHO). Health systems in Africa face a dual challenge. – First, continued expansion of access to ART for the millions of people living with HIV still in need of treatment; and second, sustaining effective treatment for patients already on ART. Through this partnership UNAIDS and ASLM will work to support countries in improving access to laboratories and HIV testing. Improving access to inexpensive, accurate and simple HIV and TB diagnostics is essential to the long-term effectiveness and quality of ART, which is crucial to sustaining the AIDS response in Africa and achieving the objectives of the UNAIDS 2015 Treatment Initiative. Laboratories play a critical role in expanding access to key diagnostics, and ASLM is committed to supporting these efforts through its 2020 strategic vision – strengthening laboratory workforce development, improving laboratory accreditation, harmonising regulatory systems and strengthening national and regional laboratory networks. 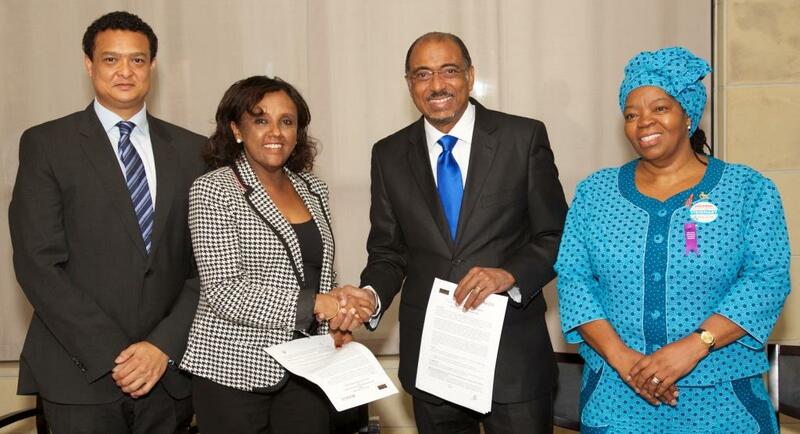 UNAIDS and ASLM will seek to support countries in Africa in implementing a structured HIV laboratory programme framework to improve HIV testing coverage, increase laboratory efficiency, lower costs and ensure improved and sustainable capacity.